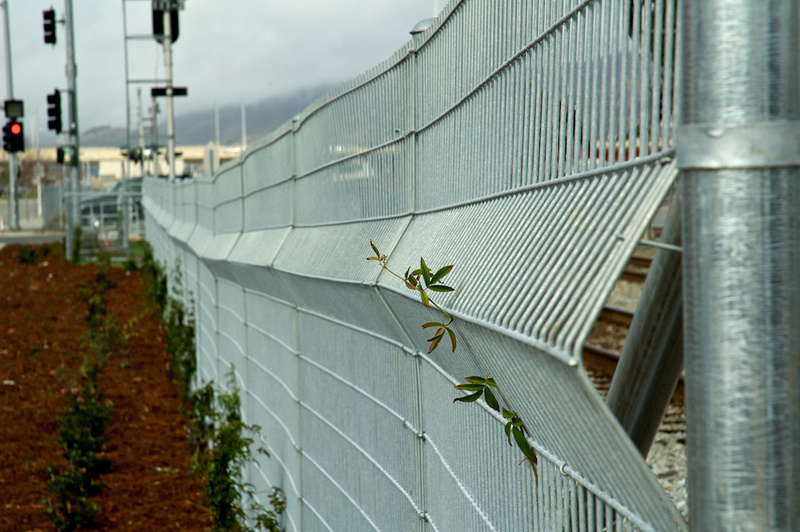 Caltrain right of way fence, approaching the San Mateo Avenue grade crossing in San Bruno. All of their fences seem to feature this weird angled bit sticking out. I’m not sure if it’s a decorative detail or functional somehow. Shot with the Nikon D70s and the 18-70mm f/3.5-4.5 zoom at 70mm, ISO 400, f/10, shutter 1/640 sec. Exposure, contrast, saturation, highlights, levels, and color adjustments in Aperture.